Have you had enough with the daily shuffle? Do you want you and your children to get off the treadmill and start living at a slower pace? Is your calendar full of activities you particularly don't care for but feel you "should" be doing? Are you tempted to not show up at the umpteenth appointment that takes up your precious time? Are your children tired of all the afterschool activities and just want to play? Do you want to learn the steps to having less activities for you and your family? Are you a good role model for your children and teaching them it is not only ok to just BE, but actually healthy? Are you tired of eating on the run? And eating meals that are not good for you but fast? Is clutter frequently a source of heaviness for you? Are you constantly multitasking in actions and thoughts? Has your family become a victim of activities, appointments and schedules? Do you want more quality of life? If you answered yes to any of the above, read my failure to success story below... If not, congratulations you are already on the path to living a slow life! 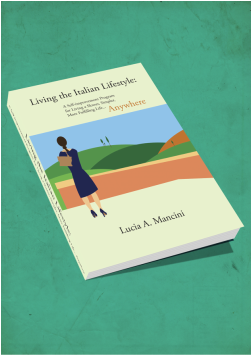 In "Living the Italian Lifestyle...Anywhere" I share with you what I have learned over the past 16 years from the Italians and how you too can apply to your own life the easy to follow steps toward a more abundant life no matter where you are. Learn the secrets of the healthy Italian lifestyle! Put into practice the easy to follow steps to living a more abundant life anywhere. Learn how to relieve you and your child's stress of too many activities. Get your family off the fast track treadmill today. 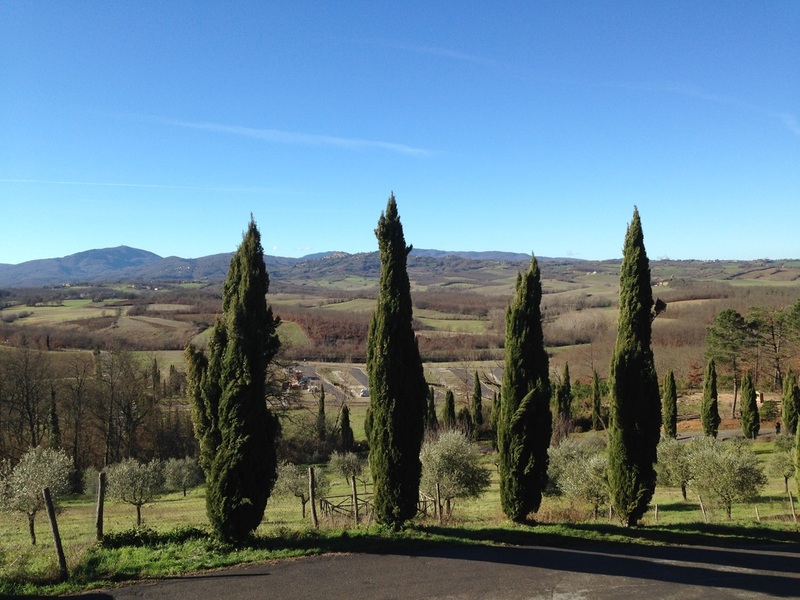 "Prior to reading Living the Italian Lifestyle, I thought I was living a pretty simple, uncomplicated life. After doing the included worksheets and tracking my daily activities for one week, I realized that my life was far more stressful and busy than I wanted it to be. I noticed I wasn’t doing enough to take care of myself, like avoiding exercise with the excuse that I was too “busy” or eating a meal at my kitchen counter while standing. I finally recognized that bad habits like these were causing stress. Lucia’s easy suggestions helped me to change my habits, enabling me to slow down, feel more energized and more focused. Included are some healthy, yet delicious Italian recipes that are easy and economical to prepare. The pizza recipe is already a weekly staple in my house. This is a wonderful guide for anyone who is ready to live a more mindful, simple and appreciative life." "An interesting cut on living, eating and thriving by learning from traditional Italian culture. The book blends common information with common sense to give readers another perspective on living in a healthy way." I moved to Italy to gain the quality of life that I believed at the time I could only have by residing in Italy. I however found myself stressed and living the same hurried life I thought I had left behind in Los Angeles. I was living in the most beautiful place in the world, Tuscany, and I was not reaping any of the quality of life benefits it had to offer. In fact I was multi tasking, anxious, tired but unable to sleep, running from one activity to another and not happy. I was coined "restless" for my nature, a term that haunted me until I learned from the Italians how to .....slow down. I realized you do not have to live in any particular place to learn how to live a simpler, more fullfilling life. Who can benefit from the guide? What real value does the guide offer you? be less stressed and healthier, both mind and soul. What are the benefits of living the Italian lifestyle? - being a positive role model to those around you. The steps are easy to understand & put into practice. You don't need to change jobs nor change countries. You don't need more money nor more "things." It is all in the attitude, in the way of approaching life. You can start now. Follow the steps and just say you can do this. Doing Less & Being More. Life was not meant to be complicated. The 60 + page ebook electronically delivered as a beautifully designed PDF. You can print it or read it on any device you prefer (desktop, tablet, mobile).